Gum disease affects millions of Americans each year despite the amazing advancements in dentistry. Gum disease is one of the most common dental conditions that affects both adults and children, and what you need to know about gum disease can save your teeth – and possibly your life. Poor dental hygiene is the leading cause of gum disease. Bacteria are natural occurrences in the mouth from the foods that you eat, but when these bacteria are not properly cleaned away daily they can wreak havoc. When bacteria are left on the surfaces of the teeth they will lead to plaque buildup and tartar. This plaque and tartar are made up of millions of bacteria that thrive in the moist, warm atmosphere of the mouth and can quickly start the earliest stage of gum disease known as gingivitis. Gingivitis is the mildest form of gum disease, and if it is caught early enough it can be reversed quickly. However, plaque and tartar that are not removed by regular dental cleanings can lead to periodontitis. Periodontitis is severe gum disease that has caused so much damage to the gums that it begins attacking the teeth and jawbones. The toxins made from the bacteria in plaque and tartar spread along the gum line and can quickly infect the entire mouth. Gum disease is not something that people should take lightly. Not only can gum disease ruin your mouth (and can do so very quickly), but gum disease can also cause major health problems. Because the gums are living tissues, when they become infected that infection can easily travel through the entire body. The tissues of the mouth are connected to the same blood vessels that connect to the heart – which is why there is a very detectable link between gum disease and heart failure. Taking care of your mouth does not just stop with the health of your teeth. Taking care of your mouth is a huge step in caring for your entire body and health. 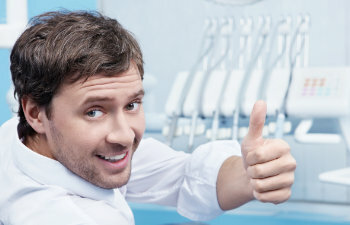 If your gums are red, puffy, painful to the touch, bleed when brushing or flossing, or have receded away from the teeth – it is time to visit your dentist. Gum disease that is caught early has a high success rate of being reversed, so don’t let it go too far.